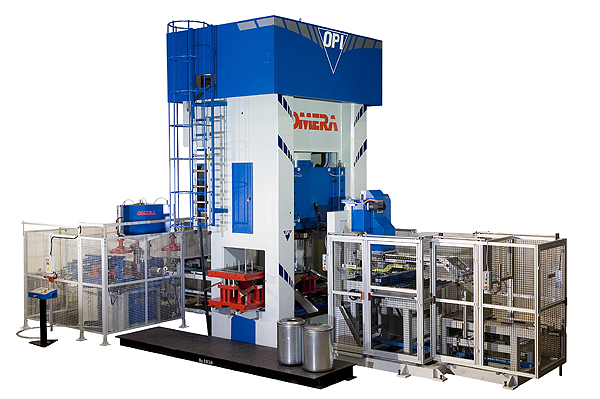 Omera designs, engineers and manufactures complete automated lines or cells that include all the components necessary to produce finished products from sheet metal blanks or from coil. 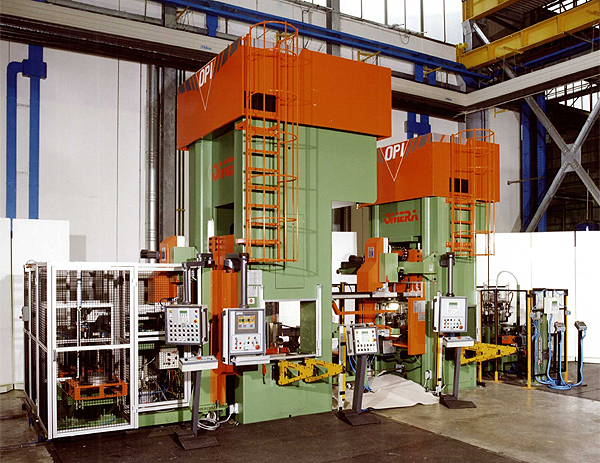 The components can include automated circle shears which cut the blanks, lubricators, transfer stations & conveyors, auto-loading multi stage hydraulic presses, trimming & beading machines, finishing stations and conveyors. 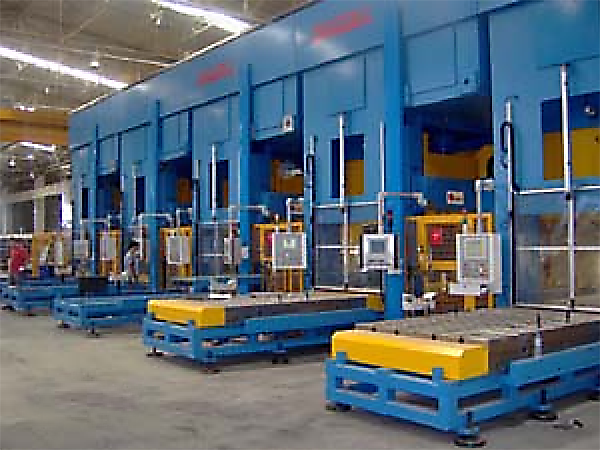 These systems are custom designed for a particular application from standard components and machines. Please contact us with your requirements.